Nestled between two of the most populous countries of the world, lies one of the oldest, most peaceful and yet, as surprising as it sounds, least explored travel destinations. Nepal distinguishes itself as one of the most beautiful countries on the planet, with its capital having the highest concentration of UNESCO World Heritage Sites. The Throng-La pass of Annapurna has been a dream adventure for countless trekkers and mountain biking enthusiasts around the world. Considered to be one of the most popular trekking destinations in the world, this is where you get the best of hiking and biking in the same adventure. Hike along the Manang areas of the Marshyangi River up to Muktinath. 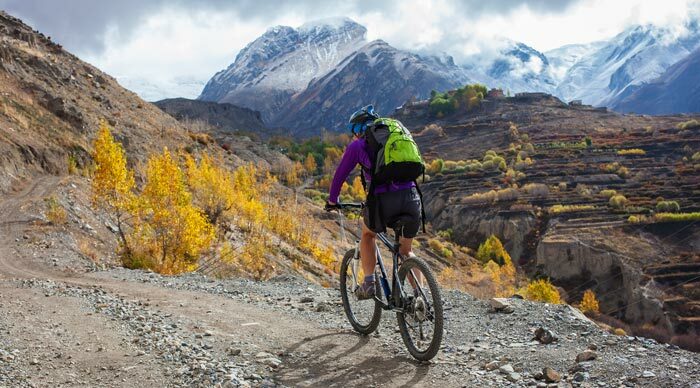 Bike from Muktinath through the Mustang region for a pleasant combination of jaw-dropping scenery, cultural delights and one of the deepest gorges on the planet. Some of the top things to look forward to in this hike-and-bike-adventure include old world villages, ancient monasteries, beautiful rivers, majestic mountains, alpine and sub-tropical forests and the Himalayan Desert. Imagine yourself jumping from a bridge located on a tropical gorge that rises to a height of 160m. Think of one of the craziest and wildest rivers of Nepal flowing below your feet. Now dare yourself to take that leap of faith. 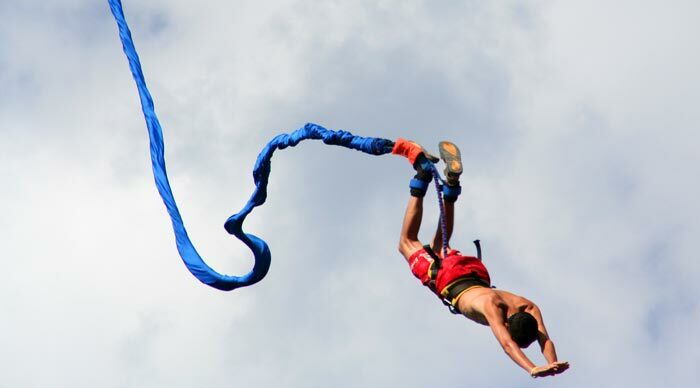 Nepal is home to all kinds of adventure sports, but bungee jumping at the Last Resort is one that is unlike any other. You can also get your jump filmed and pick a DVD of your jump before leaving Kathmandu. The Last Resort boasts of a great track record when it comes to bungee jumping and also you have the option to combine lunch, dinner and breakfast or an overnight stay into your package. The Lower Seti River is perhaps the best place to dive into the world of river rafting and kayaking. It lets newbies explore the kayaking world without presenting a major challenge. One can always feel safe and completely at ease at the Lower Seti River. 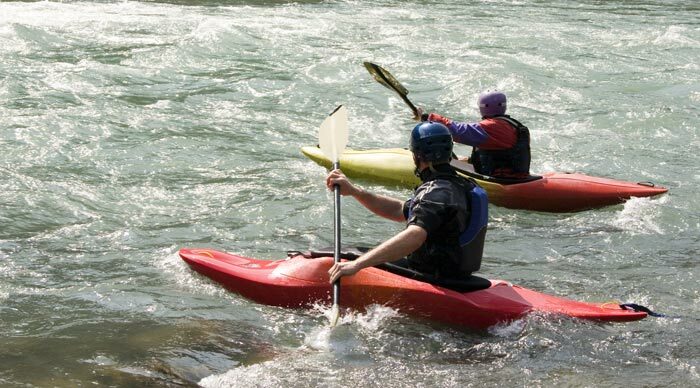 The kayaking expedition begins at the fascinating Phewa Lake and ends close to the Chitwan National Park. Kayaking aside, the breathtaking scenery and unparalleled views of Mount Annapurna make you fall in love with tour. The 2015 earthquake caused massive destruction in Nepal and some parts of the country are still reeling from the damage caused, but luckily for adventure enthusiasts, the Lower Seti River Trail has been deemed as completely safe for water sports. Very few expeditions can give you the thrill that you get by trekking to Everest Base Camp, other than trekking to Mount Everest itself. This iconic mountain has captivated adventure enthusiasts ever since the 1920s and the exploits of legendary mountain climbers such as Tenzing Norgay, George Mallory and Edmund Hillary have inspired countless men and women to make an attempt to the summit. Fortunately for those who find Mount Everest to be an impossible feat, the Everest Base Camp offers a more realistic solution. It attracts anyone wanting to explore the Everest region and presents breathtaking scenery all around. The days are fueled by beautiful colors, countless museums, old world monasteries and swing bridges that present a scary adventure in themselves and the nights are famous for conversations with fellow travelers over a bonfire. Trekking to the Everest Base Camp is no easy feat either, but the effort always rewards you with a personal sense of achievement, a fascinating culture and warm Nepalese hospitality. 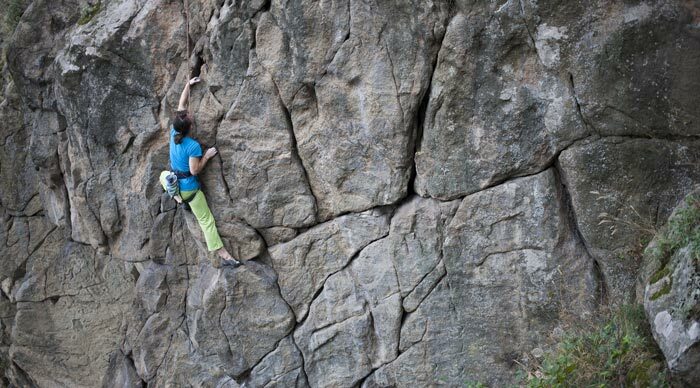 Rock climbing is a sport that attracts adrenaline junkies from all over the world due to the spectacular set of challenges that it presents. Nepal is one of the best destinations for rock climbing as it combines your rock climbing experience with unparalleled natural beauty. Bookmundi advises you to wear flexible clothing, tying your hair in a ponytail, avoiding bracelets and rings and wearing hiking shoes before you undertake your rock climbing adventure. Bhote Kosi is a popular whitewater rafting destination in the country. 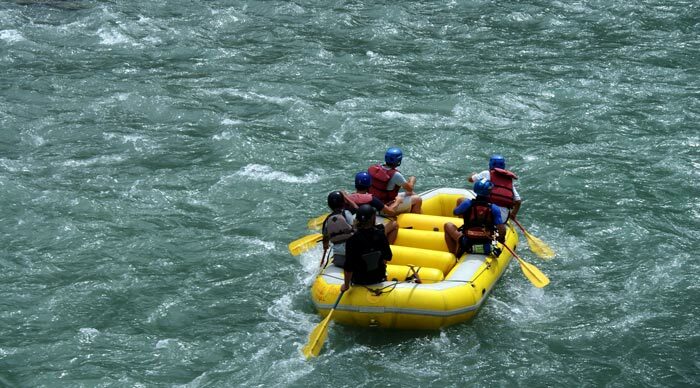 Its upper sections feature class V rapids and mainly attract skilled kayakers and rafters while its lower sections and their class III rapids are more suitable for rafters with all kinds of skill levels. Apart from one of the best river rafting experiences in Kathmandu, the Bhote Kosi also presents breathtaking views of the lush green jungles, enchanting waterfalls and ancient villages. If you want to explore the culture of river-side villages in the Himalayas, it doesn’t get better than the Bhote Kosi. Now this isn’t for the faint-hearted. Climbing Mount Everest requires a set of skills and attributes that are usually good enough to help you qualify for space travel. There are so many people who manage to make their way to the Everest Base Camp, a feat in its own right, but if you’re looking to distinguish yourself from the rest of the world, you need to make that climb to the summit. 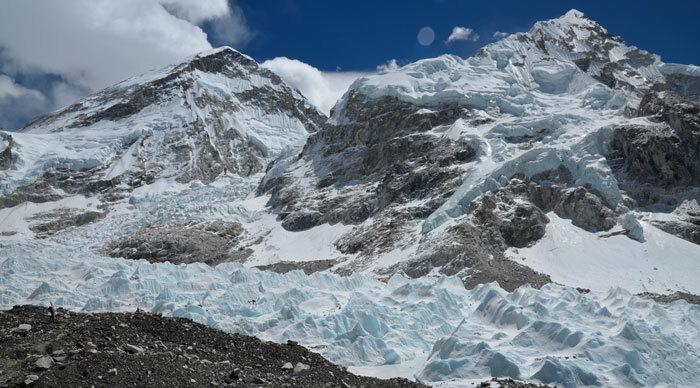 Mount Everest, the highest mountain above sea level, has attracted mountain climbers, nature lovers and trekkers with its spectacular sights and surroundings ever since the 19th century. Known to offer the ultimate adrenaline rush, this majestic mountain range rises to a height of 29030 feet. Trekking to its summit is the ultimate feat, something which took almost 29 years of countless attempts before it was finally overcome by Edmund Hillary and Tenzing Norgay in the year 1953. Climbing Mount Everest gives you bragging rights and a new-found sense of self-belief. Navigating those wild rivers brings you closer to nature and does wonders for your confidence. Visiting those age-old temples and Buddhist monasteries lets you rediscover your spirituality. If you’re looking to truly evolve yourself as a traveler and enjoy a few adrenaline rushes in the process, Nepal is where you need to be.